The saddest part of leaving March behind is flipping my Snow & Graham calendar away from this page. Snow & Graham's illustrators must feel as glum about March as the rest of us. 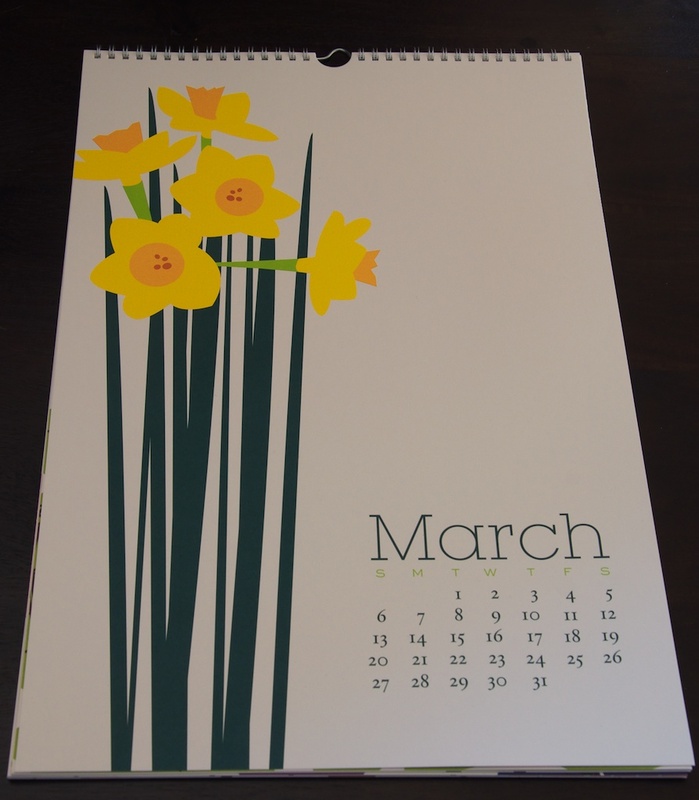 Why else would March be the most stunning page of the entire calendar?! 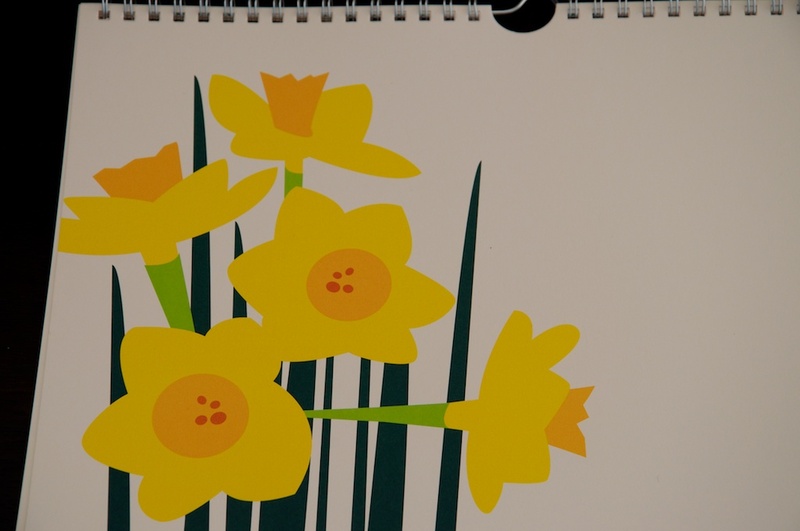 While each page of their calendar is eye-catching, I'm going to miss the bright pop of daffodils that has been hanging in our kitchen all month. I was practicing frugality a few weeks ago when I spotted Albertine's Press' Barnyard Greetings cards at Word. Being a fan of food inspired illustrations (and letterpress, in general), I bought these root vegetable notecards a few weekends ago at Word.